In honor of National Poetry Month, bring your poems to the WYO! All experience levels welcome! Bring your own poems or your favorites. $3 pancake plates & a drink will be available. High school teens only, regardless of residency. Interested? 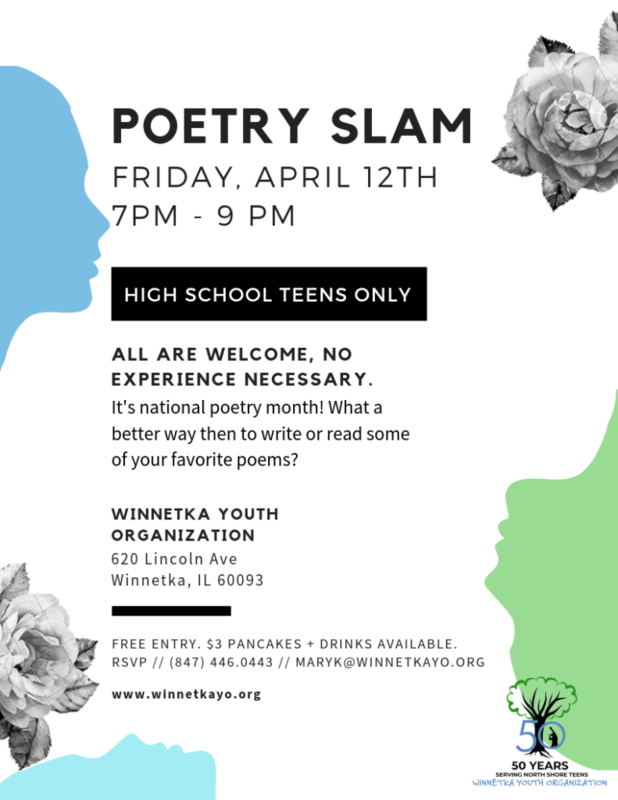 Contact us at 847-446-0443 or email maryk@winnetkayo.org!